The Bottomless Cloud challenges the scarcity-driven mindset by taking a hard look at how industrial-age business models are failing us by regarding data as a commodity and a cost that needs to be constrained, rather than a near-infinite resource that can be mined to build entirely new sources of value and insight. 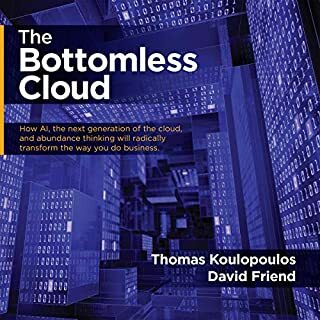 From Uber to Nike to Netflix, The Bottomless Cloud is defining the tenets of success in the 21st century by changing the way we view data, from being a byproduct of business to a foundational driver of radically new business models. 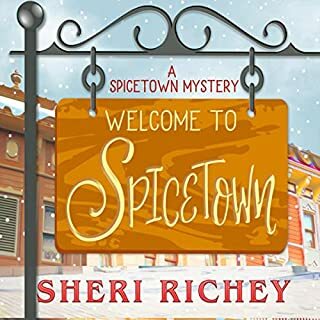 When a crime-stopper senior citizen starts to act oddly, a new business sells fake products, and the New Year’s Eve fireworks display disappears, Mayor Cora Mae Bingham and the Spicetown Police Chief Conrad Harris have to get involved. 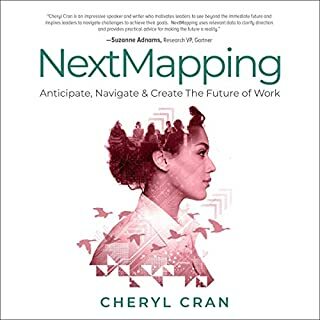 NextMapping provides strategies and ideas for leaders, teams, and entrepreneurs to navigate the future of work. The biggest imperative for companies right now is to be ready for the impact on people and business of AI, automation, robotics, and the fast pace of change. Money Please Come Back: Changing Your Relationship with Money & Growing It - the eye-opening guide to finally being happy with the money you earn. Almost everyone in the modern world is unhappy with the money they make. From those who barely earn a living to billionaires, nobody is thrilled with their level of income. Why? 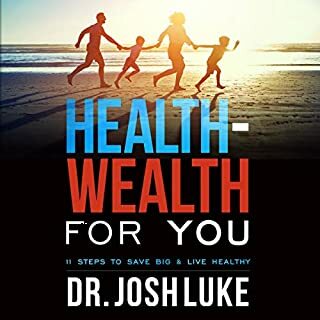 This audiobook offers thought provoking explanations of why most of us have such a difficult relationship with money. A marine archaeologist standing-up for herself. A psychopath with mother issues. A hitman who hates failure. A soldier with a point to prove. A policeman out on a limb. And a treasure that tests every allegiance. Brett Rivera has spent three years searching for the Drachen. The day she finds it is the day her life changes: there is no sign of its legendary treasure and now a cold-blooded killer is hunting her. What does he know that she doesn’t? This quick-consult self-help book goes beyond describing which herbs, vitamins, and nutrients help specific ailments. In this book, you’ll find the best ways to take these products, as well as the correct dosages. You’ll also discover a host of other modalities like exercise, mindfulness, and meditation that alleviate the distress associated with anxiety and stress. This practical guide is formulated to give you the help you need in an easy-to-use format. The sun had begun its descent towards the western horizon and the promise of warmth was sinking with it. Gold and pink rays glancing off mountaintops spread as one over the frozen lake below. Midway up a mountain slope overlooking the lake and not too far from where the Urals trailed off into the wasteland, Pavel Rostislav lay in wait. A light wind whispered across the incline, bringing cold that found a way through his winter gear and set him shivering. He snuggled into the hollow cut from the compacted snow as far as he dared, but knew there could be no respite. He had to hold his vigil. 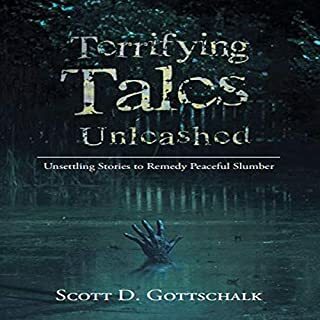 With teeth gritted, he raised the standard issue field glasses to his eyes and scoped the fishing hole in the ice lake while trying to ignore the freezing barbs that spiked at his bones. Time pressed on and he took a moment of it to glance at the thermometer on the backpack by his side, shuddering to see the temperature had dropped to minus 50. Mist clouds would be visible to an enemy, so he expelled his breath against the chinstrap on his snowsuit, but then small ice crystals bunched up there and he exhaled in exasperation, irritation nipping at his spirit. The sun dropped below the peaks and the ice lake turned bluish grey while the sky on the eastern horizon reflected mauve tiers on snow-knuckled mountains. Snow flurries lifted from drifts nearby and snaked down into the basin, dancing like ashes blown from a dead fire. Pavel's goggles took the color down a notch further and his heart sank. All he wanted now was to get this thing done and return to camp. However, just as he began feeling that his blood might turn to an icy sludge or his body may be only moments away from paralysis, a blur on the landscape took human shape and his spirits lifted. Shrouded in a heavy arctic snowsuit, the man moved slowly yet gracefully towards the fishing pole sticking up from the ice. This is the third book by Rik Stone that I have listened to. I love his writing style, although he deals with a difficult subject that has historical details woven in. I like it when an author takes things from history and melds it with fiction to write a believable story. This book primarily takes place in both Russia and Turkey, and features Jez and Anna. The imagery in the story is well done, although it does include detailed violence. There is torture, deceit, manipulation, and pure evil. Dennis Kleinman did a great performance with this book. He added suspense to the story, and his distinguished voices for various characters made it easy to know who was speaking. This book is part of a series and a standalone listen. After reading the previous two books, and enjoying them so much, I couldn’t resist to a sequel with a quite a suggestive title. Anna and Jez each start a different journey; Anna has a mission in Turkey, while Jez is sent into the freezing wastelands surrounding the Russian camp where they were staying, in order to check that he is fit for going on missions. While Jez is out with Pavel, the camp is bombarded and destroyed. Meanwhile, Anna is having more difficulties than expected in Turkey, and the man in the blue fez has something to do with it. This is another action packed novel within an historical frame. Stone is using here the Chechen – Russia conflict to frame an exciting story in which its characters will travel long miles and cross countries. In this book we will meet characters from Birth of an Assassin and The Turkish Connection, so no introduction is needed. It was pleasant to meet these characters again, but I missed some of the evolution I witnessed in the previous books, where the story spanned several years. It felt more immediate in this one, and perhaps that allowed for more action, so there was not a moment of boredom. There is again some degree of cruelty, torture, and graphic violence. It did not bother me and I think it was something necessary to give credibility to the story and to show the characters traits. 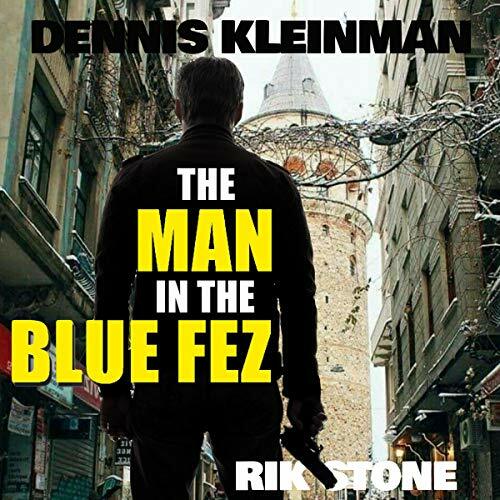 Dennis Kleinman did again a wonderful job bringing Stone’s characters to life, and also delivering a very compelling narration. I missed again some variation in voices, and in some cases I had troubles distinguishing between characters, but not to the point that it distracted me from the story. 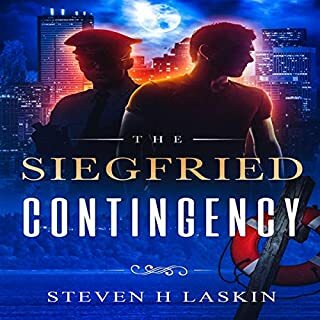 As with the previous book, this could be read as a standalone, but it will be more enjoyable for someone who has already read books one and two. I would absolutely recommend the whole series to anyone into thrillers and historical fiction.